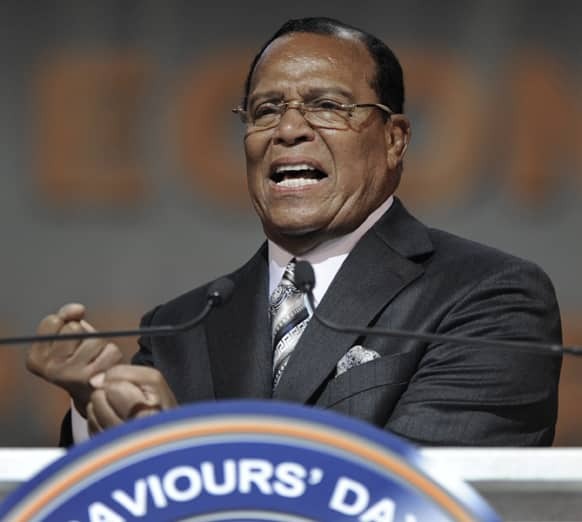 Minister Louis Farrakhan speaks during the Saviours` Day annual convention at the U.I.C. Pavilion in Chicago. 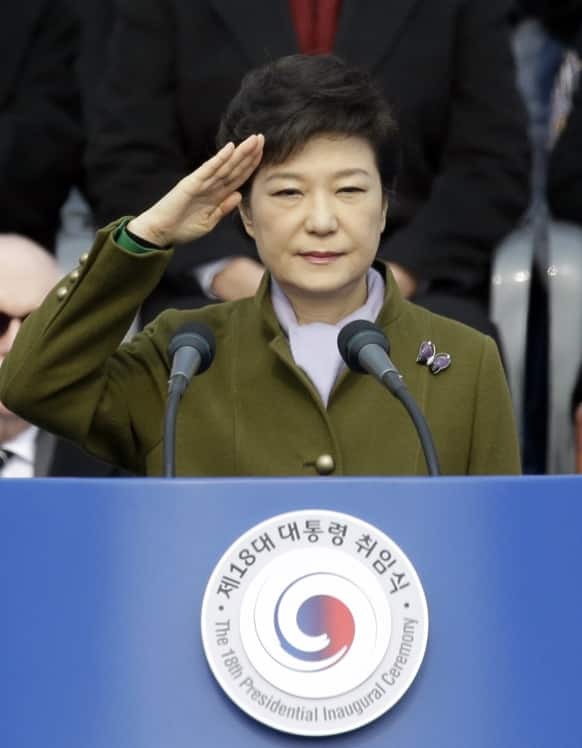 South Korea`s new President Park Geun-hye salutes during the 18th presidential inauguration ceremony at the National Assembly in Seoul, South Korea. 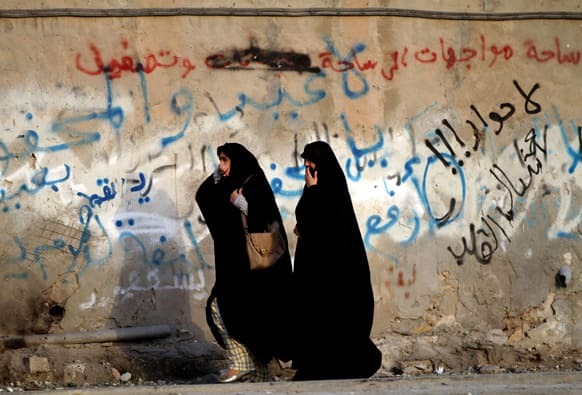 Bahraini women cover their mouths from tear gas during clashes between anti-government protester and riot police in Bani Jamra, Bahrain. Youths hold black flags during a protest against the prospect of a gold mine and processing plant being built at Skouries, at the town of Megali Panagia located on the northern peninsula of Halkidiki Greece. New Jersey Gov. 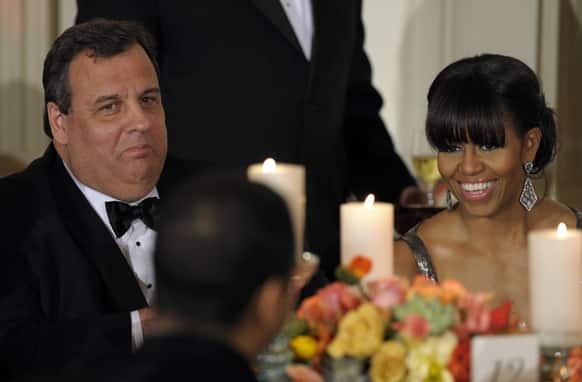 Chris Christie sits next to first lady Michelle Obama as President Barack Obama welcomed the governors of the National Governors Association to the 2013 Governors’ Dinner at the White House in Washington. 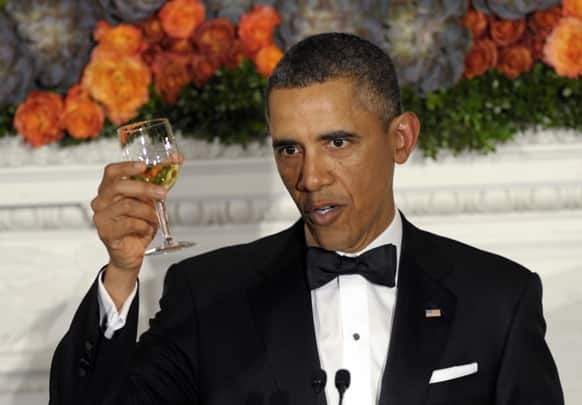 President Barack Obama offers up a toast as he welcomes the governors of the National Governors Association to the 2013 Governors’ Dinner at the White House in Washington. Police take away a woman protesting where former Italian Premier Silvio Berlusconi was voting, in Milan. 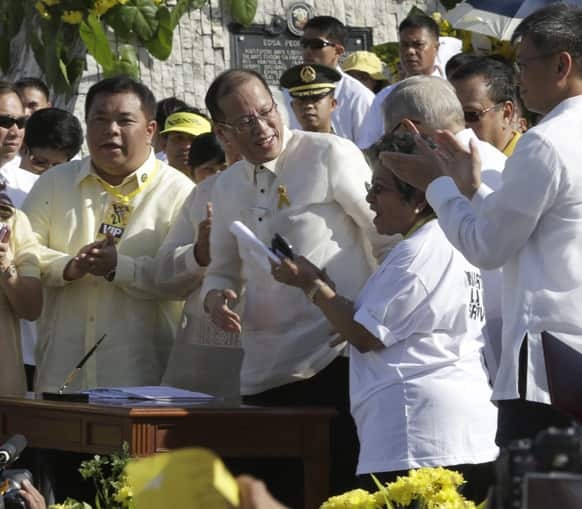 Philippine President Benigno Aquino III, center, is applauded by lawmakers after signing into law the Human Rights Victims Reparation and Recognition Act of 2013, during the 27th anniversary celebration of the People Power revolution along EDSA boulevard in Quezon city, Manila. South Korea`s new president Park Geun-Hye, right, shakes hands with Thai Prime Minister Yingluck Shinawatra at the presidential Blue House in Seoul. Half-naked participants take part in the "Guangzhu (naked) Run" at the Olympic Forest Park in chilly Beijing. 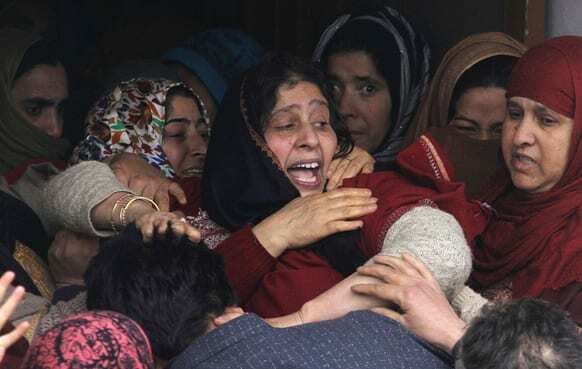 Relatives cry during the funeral procession of village headman Javaid Ahmad Wani in Kalantra Payeen village, some 50 kilometers (31 miles) north of Srinagar. 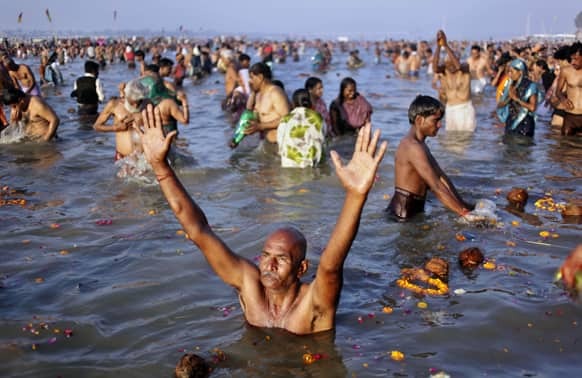 A devotee prays to the Sun God as he takes holy dips at Sangam, the confluence of the Rivers Ganges, Yamuna and mythical Saraswati on Maghi Purnima, or the full-moon day, considered an auspicious bathing day, during the Maha Kumbh festival in Allahabad. 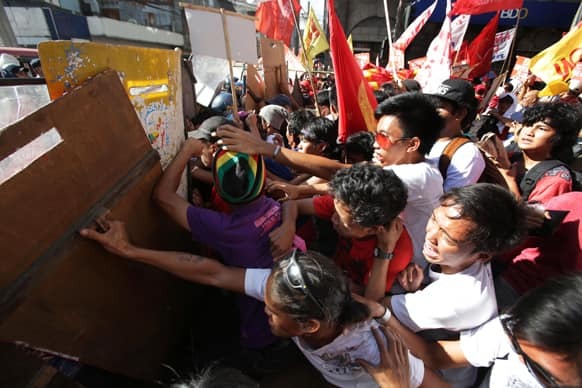 Filipino protesters push police as they try to march towards the U.S. Embassy in Manila. 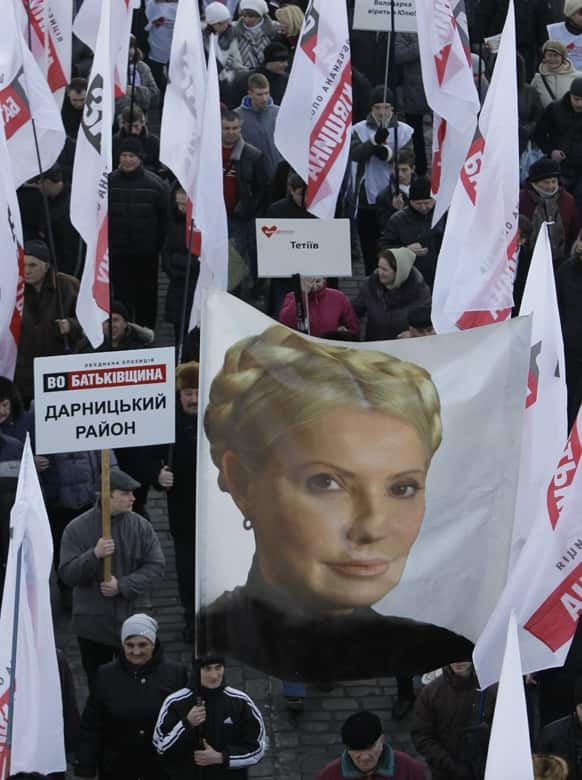 Supporters of former Ukrainian Prime Minister Yulia Tymoshenko wave a poster with her image as they take part in a rally in Kiev, Ukraine. 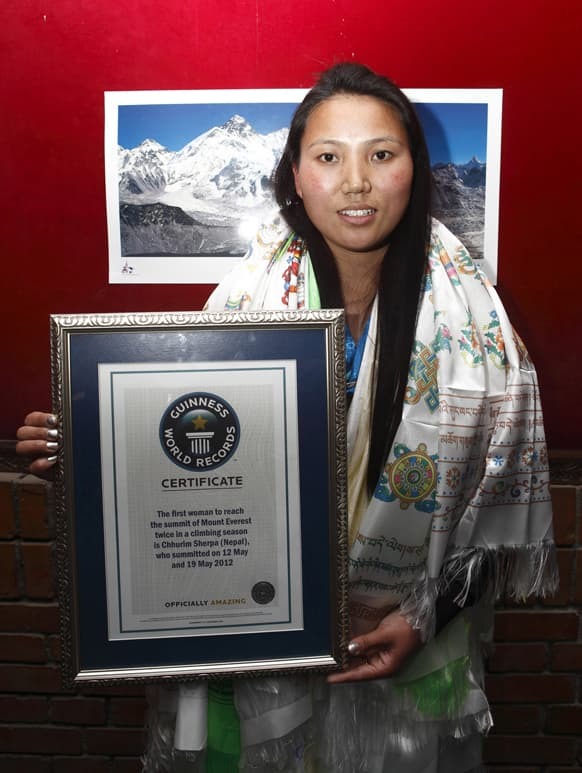 Nepalese woman mountaineer Chhurim who has been recognized by Guinness World Records for climbing Mount Everest twice in the same climbing season poses with the certificate issued to her in Katmandu. 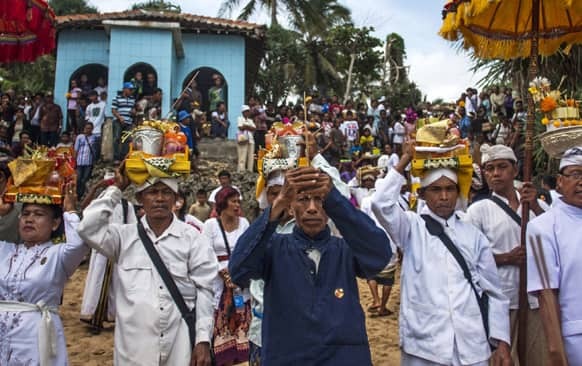 Hindu priests hold offerings during a religious ceremony called Melasti on Ngobaran Beach in Yogyakarta. 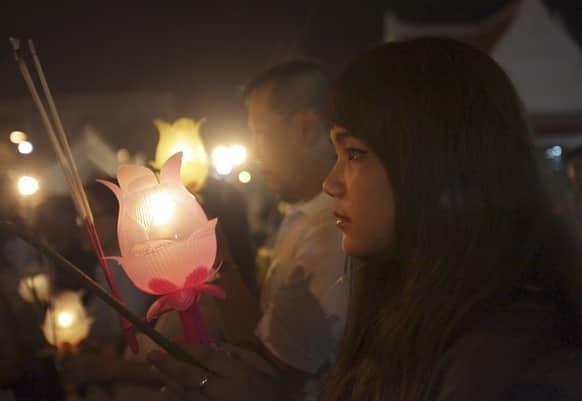 Thai Buddhist carrying candle marches around Marble Temple in Bangkok. 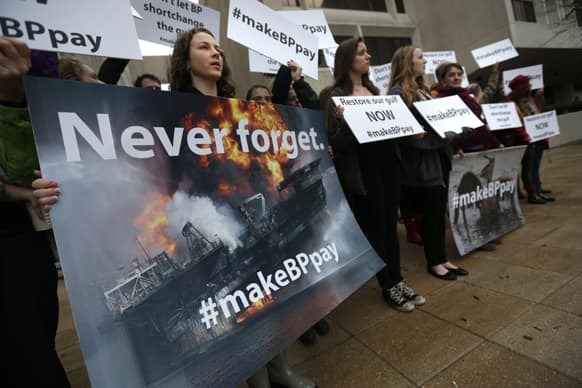 Protestors from the National Audubon Institute, the Gulf Restoration Network and other organizations stand outside Federal Court on the first day of the Gulf oil spill settlement trial in New Orleans. 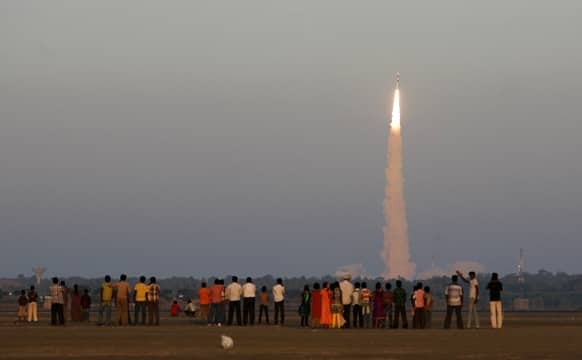 People watch as Indian Space Research Organization’s (ISRO) Polar Satellite Launch Vehicle (PSLV-C20) carrying Indo-French oceanographic study satellite `SARAL`lifts off from the Satish Dhawan Space Centre in Sriharikota, Andhra Pradesh.